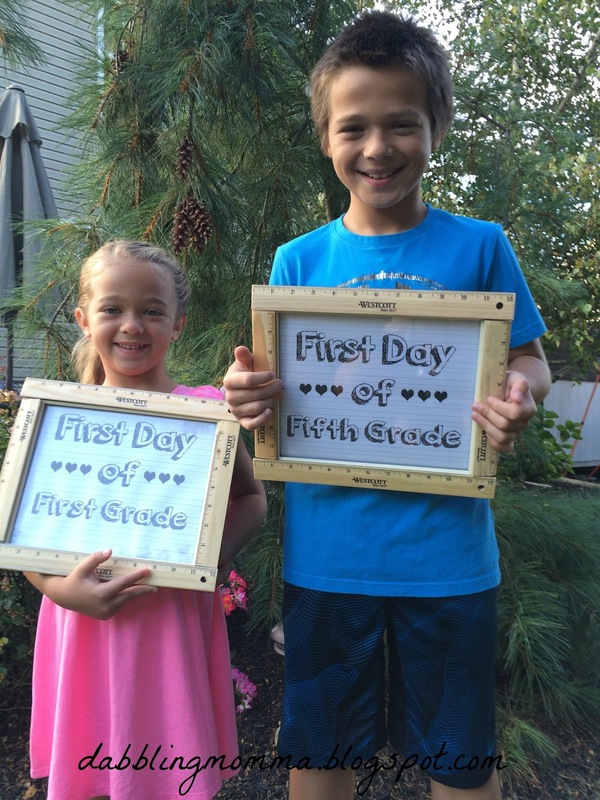 My kids had their first day of school this past week. I think it's always fun to have the kids hold up a sign and with all the ideas floating around Pinterest you are bound to find something! I decided to use a free printable and frame it. While I was buying school supplies at Staples I came across rulers for .25 cents each. 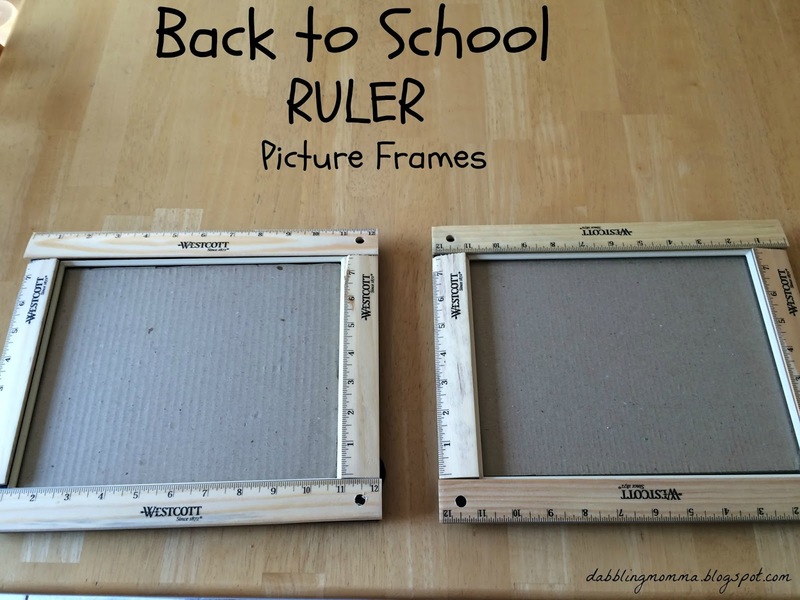 I thought the rulers would look cute around a picture frame, so I purchased 8 of them. 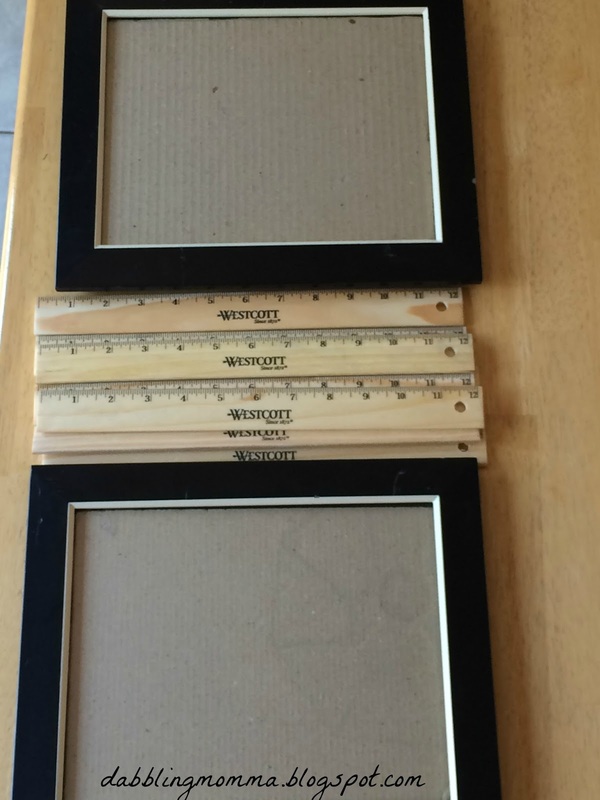 Since I would be hot gluing the rulers onto the frame I did not want to spend alot of money on frames. I was going to head to the dollar store until I found 2 matching frames at a yard sale. Both frames cost .50 cents....whoot, whoot! It was super easy to make the frame. Just added some hot glue to the back of the rulers and stuck them on! The hardest part was that I had to have my husband cut a few of the rulers to fit along the frame. To all the kids out there.......HAPPY SCHOOL YEAR! These are so cute! I may need to dress our frames up a bit, back to school style! Thanks!! They were super easy to make! !